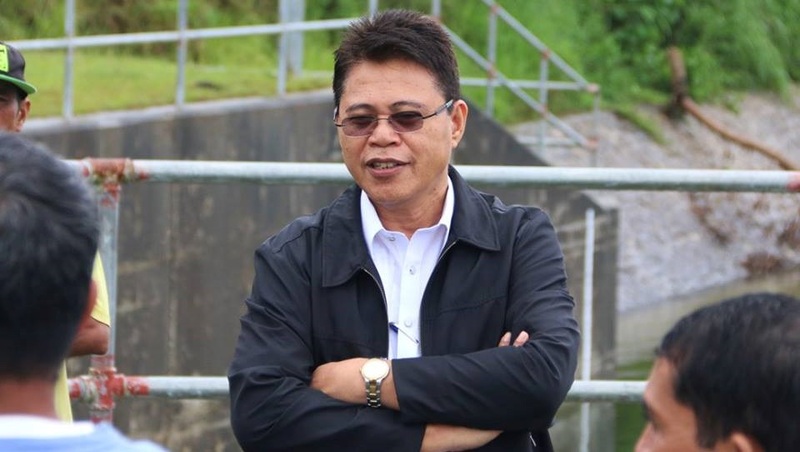 The Supreme Court (SC) First Division affirmed the Ombudsman finding of probable cause against National Irrigation Manager – Regional Irrigation Manager-7 (NIA-RIM-7) Modesto G. Membreve and two other top NIA officials for conspiracy in committing “nepotistic acts”, disagreed with his allegations of denial of due process and dismissed claims of inordinate delay to complete the preliminary investigation. The order by Chief Justice on leave Lourdes Sereno affirming the Ombudsman resolutions assailed by Membreve was contained in a nine-page SC resolution issued on March 5, 2018. Engineer Petronilo S. Sarigumba and Josephus Gaviola filed on May 10, 2013 before the Office of the Deputy Ombudsman – Visayas criminal and administrative complaints for Nepotism and Misconduct against Membreve, Julius Maquiling, NIA-RIM10 and Olimpio J. Galagala, Jr., Head, Bohol Provincial Irrigation Office7 (BPIO-7). According to Sarigumba and Gaviola’s complaint, the three NIA officials connived to accommodate the two daughters and son-in-law of Membreve as casual employees of NIA Regional-10 and maneuvered their transfer to NIA Region-7 where they worked under the “direct supervision” of their father who was the NIA-RIM. Maquiling, as RIM-10 appointed Membreve’s two daughters – Hannah Grace as Engineer B, Ma. Hedda Hilot as data encoder while her husband Ronaldo Hilot as Development Officer A. Months later, Galagala, as BPIO requested Maquiling to assign Membreve’s two daughters and son-in-law to Bohol which the later approved even as Membreve did not “perform any act to repudiate the transfer of his relatives to his office,” according to the findings of the Provincial Assistance and Corruption Prevention Office (PACPO). Based on the investigation of the PACPO, the Ombudsman, in the administrative aspect of the complaint, rendered a decision on May 2, 2014, finding Membreve, Maquiling, and Galagala guilty for simple misconduct and were suspended from service without pay for one month and one day. In the criminal complaint, the Ombudsman, in a resolution issued on September 9, 2016, found probable cause to charge the three NIA officials with four counts of nepotism before the Sandiganbayan. But the SC resolution stressed that appointment in favor of a relative within the third civil degree of consanguinity or affinity by the appointing authority, recommending authority, chief of the bureau or office and the person exercising immediate supervision over the appointee constitutes nepotism. The resolution pointed out that the records show that Membreve is related to his two daughters within the first civil degree of consanguinity, being his daughters while his son-in-law is related to Membreve within the first civil degree of affinity. The SC resolution downplayed the approval of Maquiling for the transfer of Membreve’s two daughters and son-in-law from region-10 to region-7 as “inconsequential” but gave weight to the fact that Membreve was the RIM of region-7 at the time of the transfer and had direct supervision over his relatives as NIA employees. The decision also disagreed that Membreve was denied due process of law citing the filing of his position paper to respond to the charges against him and his MR assailing the Ombudsman September 9, 2016. Based on the chronology of events, according to the SC resolution, “no inordinate delay attended the preliminary investigation” when the final evaluation report was approved on March 26, 2013, up to the docketing of the criminal case on May 10, 2013. The court chided Membreve for contributing to the alleged delay when his counsel requested that the investigation is transferred from the Ombudsman-Visayas in Cebu City to the Ombudsman Central Office in Quezon City.